All spots for Fall 2018 have been filled. Please consider applying for Spring 2019. Spots are limited and are filled on a first-come, first serve basis. Please fill out the form at the bottom of this page if you are interested. 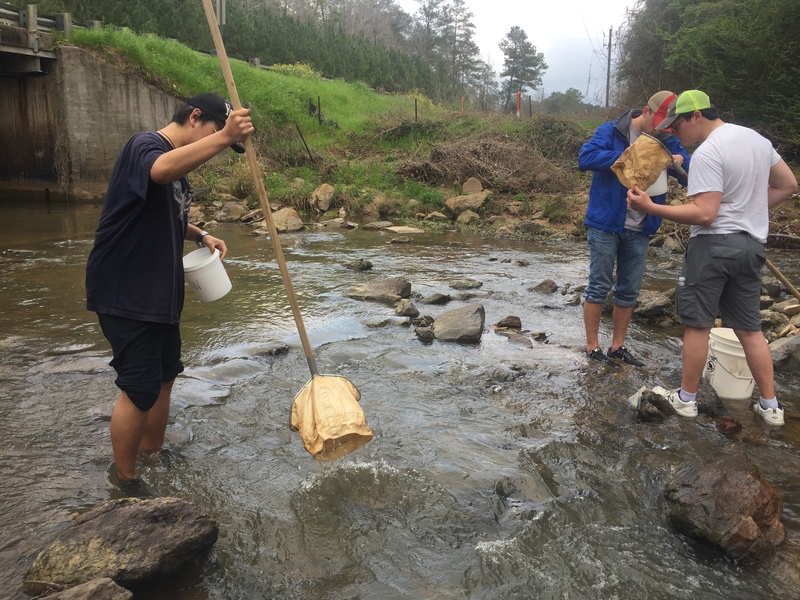 Intro to Engineering students conduct Stream Biomonitoring on Parkerson Mill Creek. 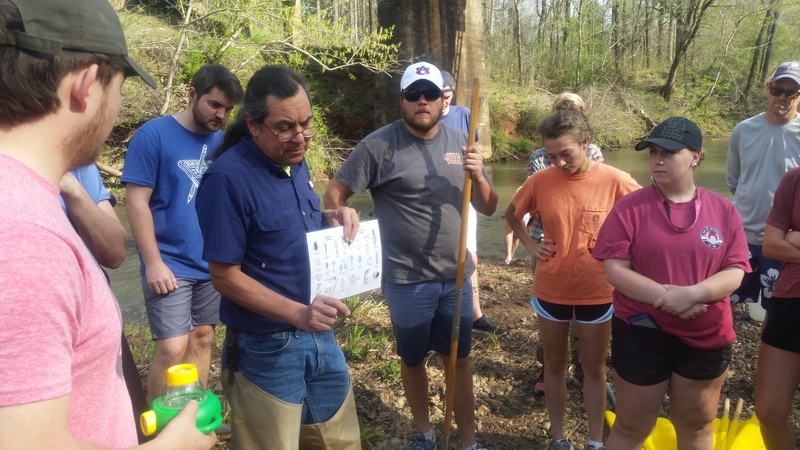 Starting Spring Semester 2018, the Auburn University Water Resources Center (AUWRC) began offering field-based experiences for Auburn University classes. The AUWRC recognizes the importance of experiential learning and is seeking to supplement traditional classroom education through outdoor experiences related to student coursework. 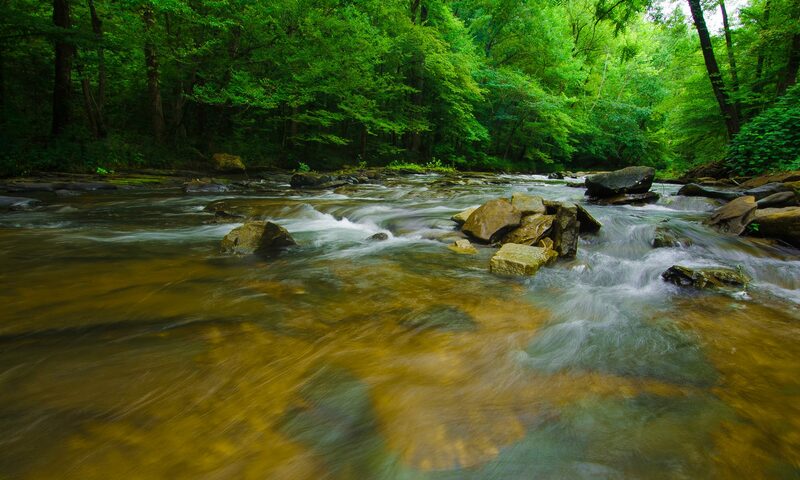 Instructors can request various activities, including Alabama Water Watch demonstrations. AUWRC Staff will work closely with the course instructor to determine a suitable location for the field experience that is reasonably close to the University. Once the application is accepted, the date and time of the field experience will be discussed with the instructor. The logistics and cost of transporting students to the location of the field experience is the responsibility of the course instructor. Requested Dates and Times (please be specific, provide months, days of week, etc) We do not schedule field experiences after 5pm during the fall. Other. Please describe your request in the comments section below.